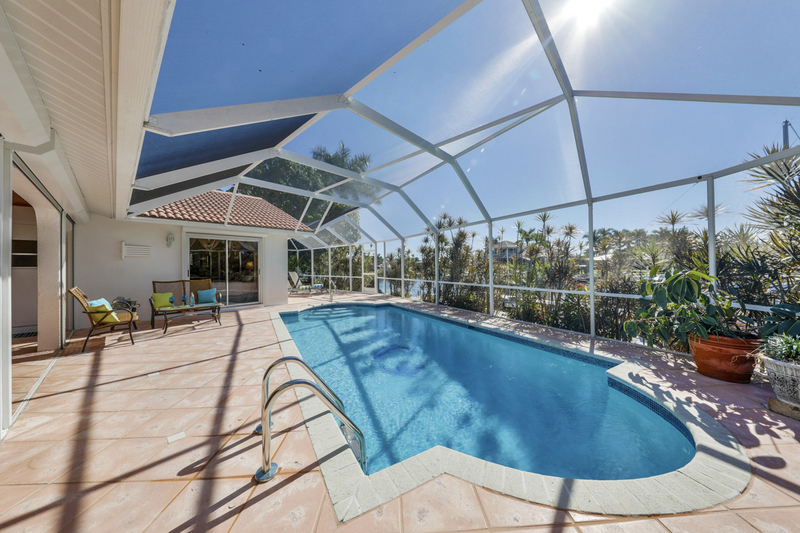 This 3 bedroom/2 bathroom south facing waterfront pool home features 2 spacious living areas, a gorgeous open plan Kitchen with huge granite island, 3 large bedrooms, all with sliding doors to the pool area and separate tiki hut on your own private dock to provide an additional shaded seating area. 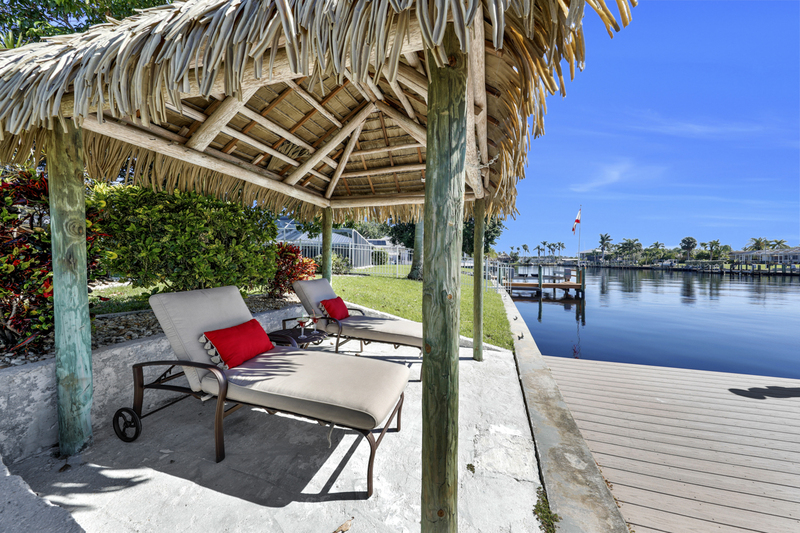 This home is the ideal choice for serious boaters seeking a luxury home minutes from the river. Wow, we loved our stay and don't want to leave. This house met and exceeded all our expectations. The children loved the very warm pool and the fishing dock right in their very own backyard. Excellent neighbourhood. No complaints at all. We would definitely rent this house again. Thanks for a very wonderful, relaxing vacation filled with memories. 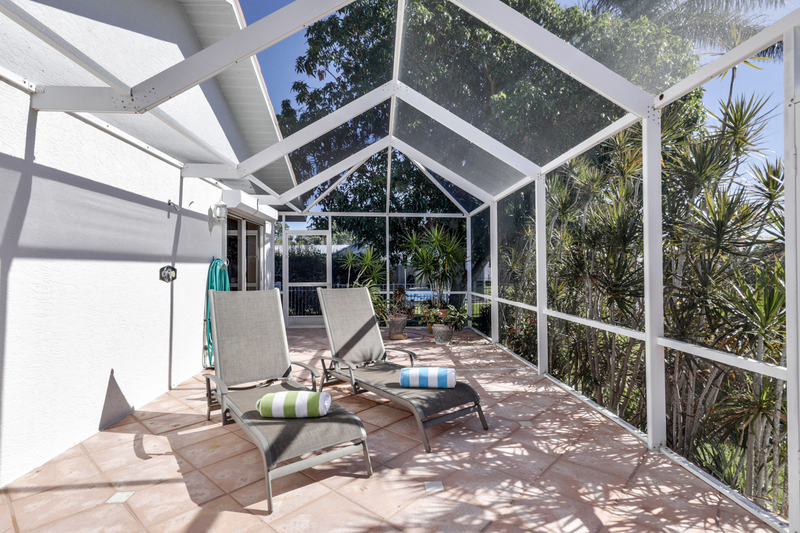 The property has everything you need to enjoy a relaxing vacation.. 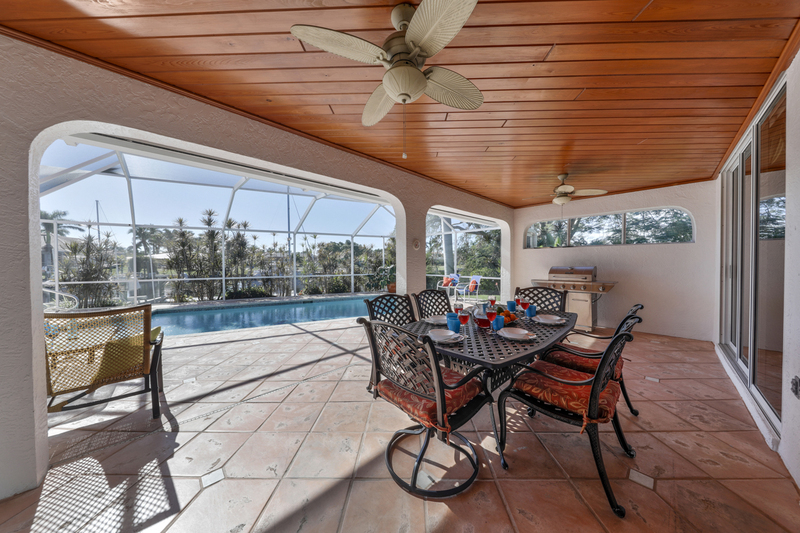 It has a heated pool (included in the villa rental) and immediate access to a canal which is moments away from the river taking you to the Gulf of Mexico, ideal for boaters and fishermen. A small beach is a short walk away as is the local Boathouse eating venue. A car is essential to enable access to restaurants and shops/malls. It comes highly recommended. 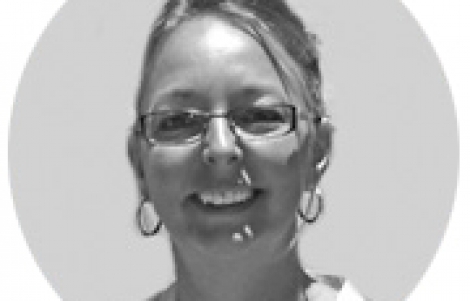 Keely was helpful and the villa was true to the details, reasonably well equipped, clean and spacious. Small drawbacks like very low levels of lighting in the kitchen and the bedlinen needs replacing - bobbly sheets - otherwise would have been a 5 star review. 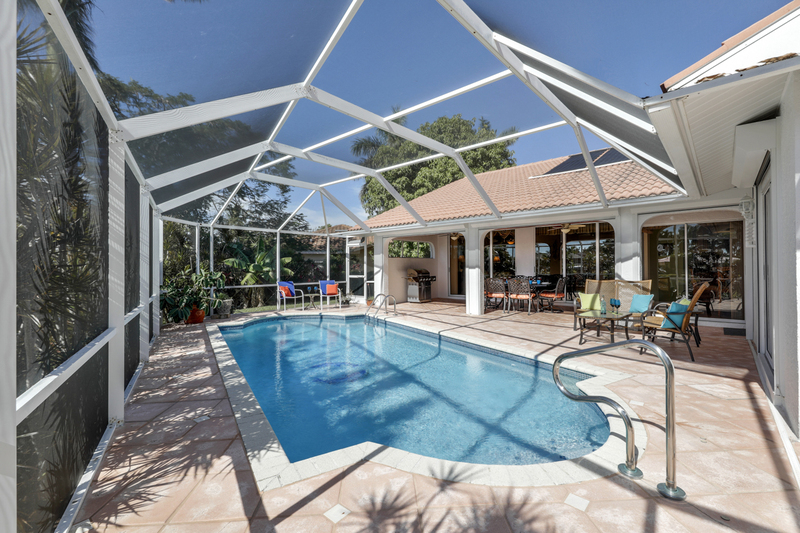 We were delighted with this villa which is located in a peaceful area of Cape Coral. It was exactly as described in the write up and as shown in the photographs. The house was clean and well presented. The only that could be improved upon is the a/C. The pool and deck area benefited from all day sun. Neil handled the minor difficulties we experienced immediately and in a very friendly and efficient manner. We will certainly return. This home was perfection and the outside space and views just pure heaven. 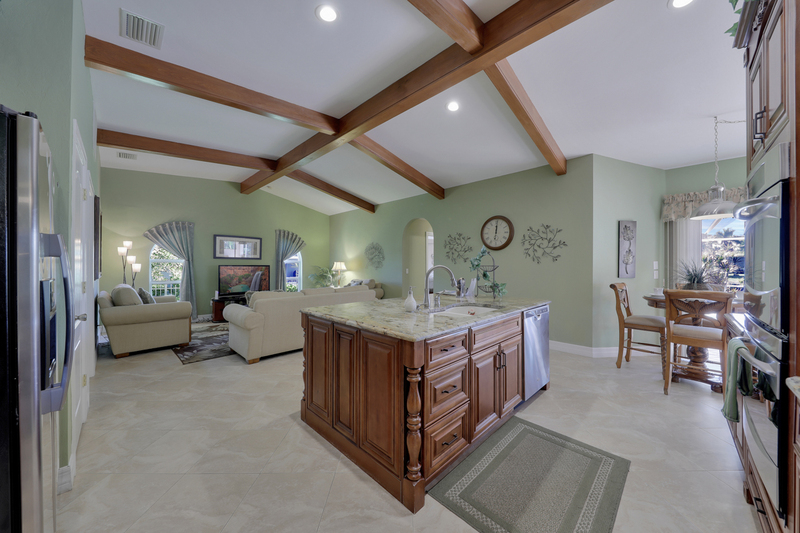 We have been coming to Florida and staying within a 40 mile radius for many years and this home is the best by far. We will be back. 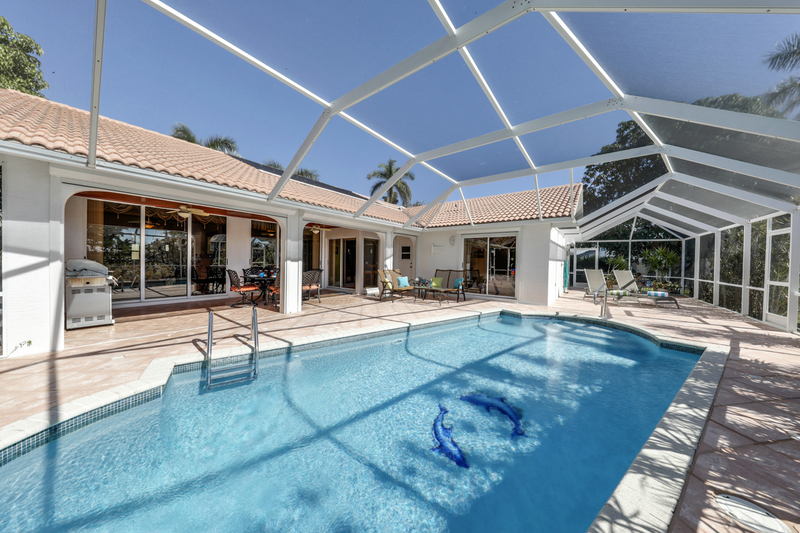 We really enjoyed our stay in Cape Coral in this House. The home is good equipped in all rooms. We would recommend this house to anybody if their just a couple or a family. Its perfect for everybody. As we had a problem with the aircon we called Keely and they came by the same day to check it out and fixed the problem. Cape Coral is also a nice City where you can reach other Cities easily and go shopping. In the House you also find enough information for eating outside and those were good tips. We really enjoyed are stay and were able to relax and do site seeing as well. Just try it out yourself its worth it. 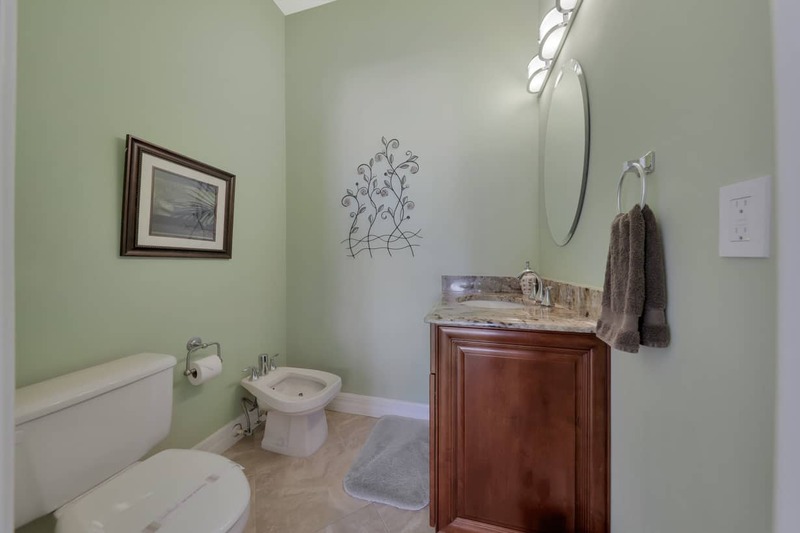 Guest bathroom with luxurious large walk in shower, twin basins & toilet. Door to pool area so no more wet feet in the house! 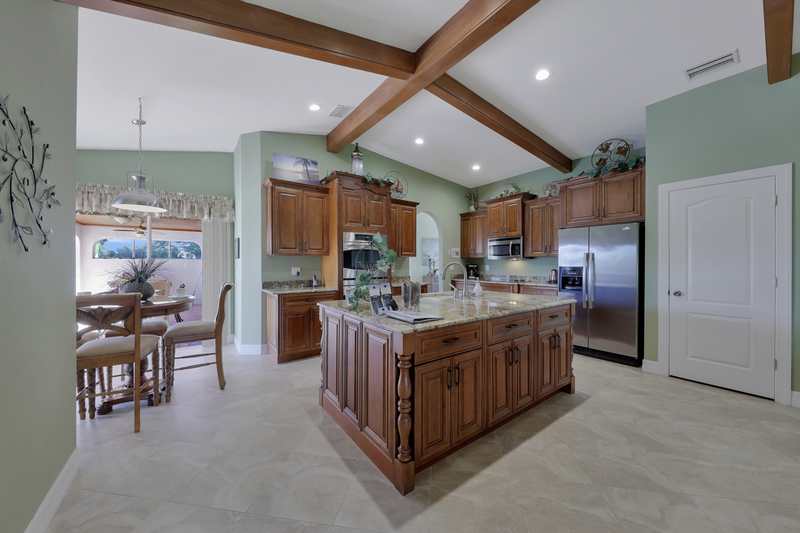 Open plan kitchen overlooking Family Room, breakfast nook & pool. 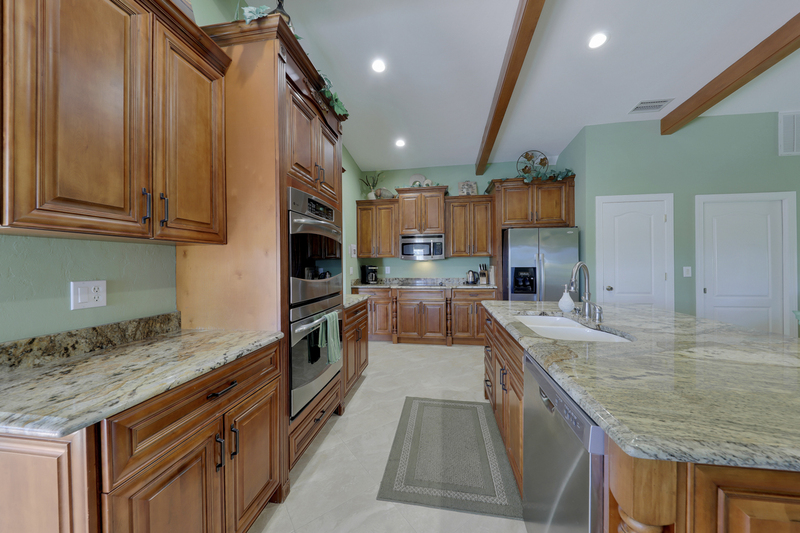 Equipped with stainless steel appliances & finished with granite worktops. Also Gas BBQ in lanai area for cooking in the sun! 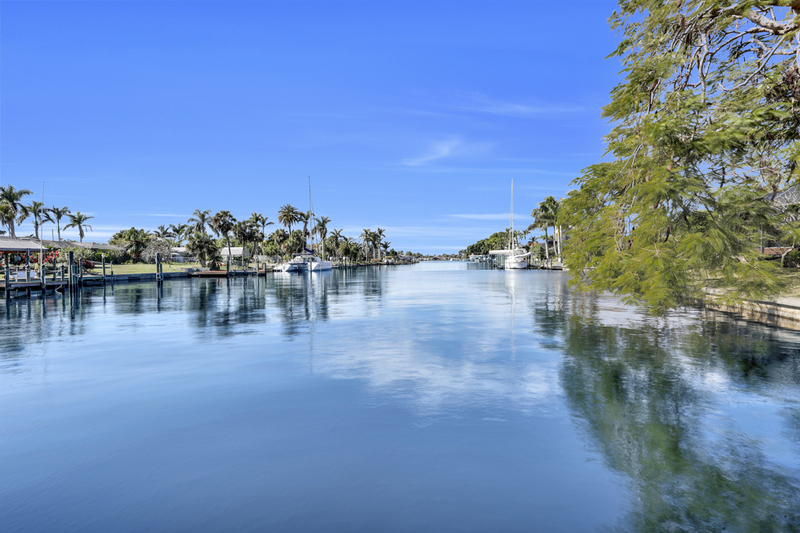 Villa Desoto is the perfect home for boaters seeking an upscale residence with un-matched quick access to the Gulf of Mexico. 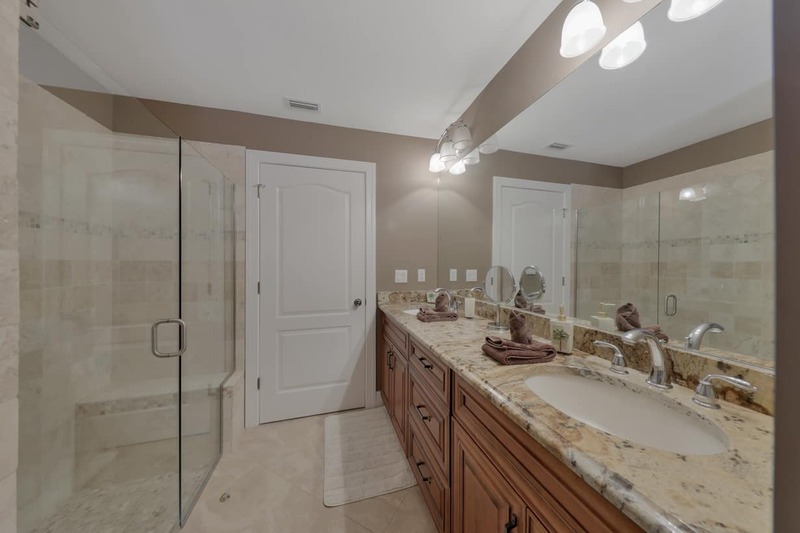 Situated at the end of a cul-de-sac in the very popular yacht club area of Cape Coral, the home is very private and luxuriously appointed throughout, from the gorgeous custom-made kitchen to the granite and tumbled stone clad bathrooms. 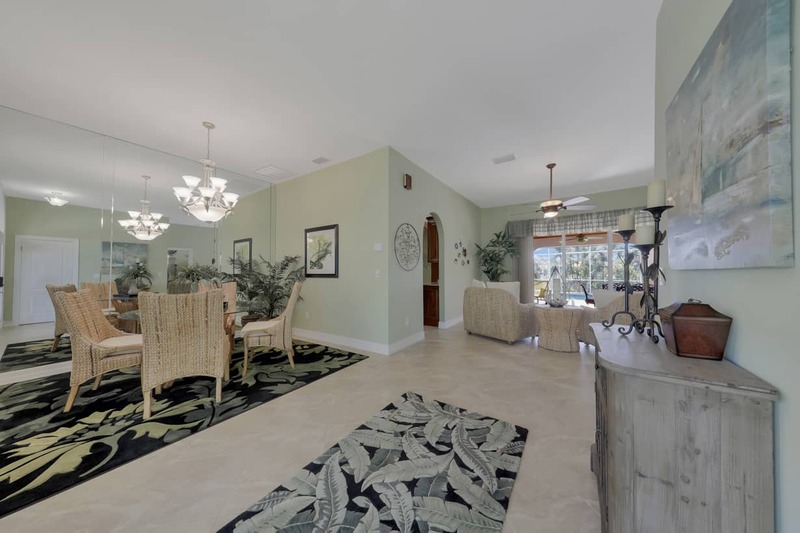 On stepping through the lushly landscaped front entrance, guests will feel like they have just arrived at their own private oasis. 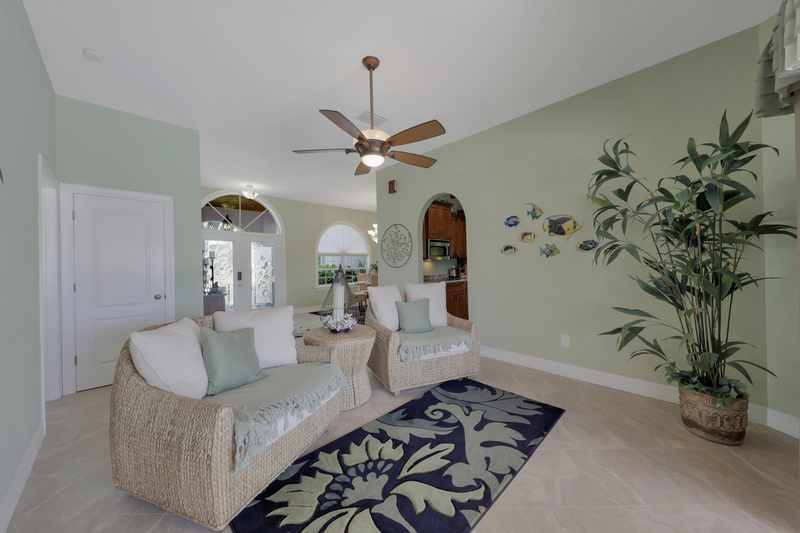 The home has a spacious and airy feel, accented with modern tropical style décor. 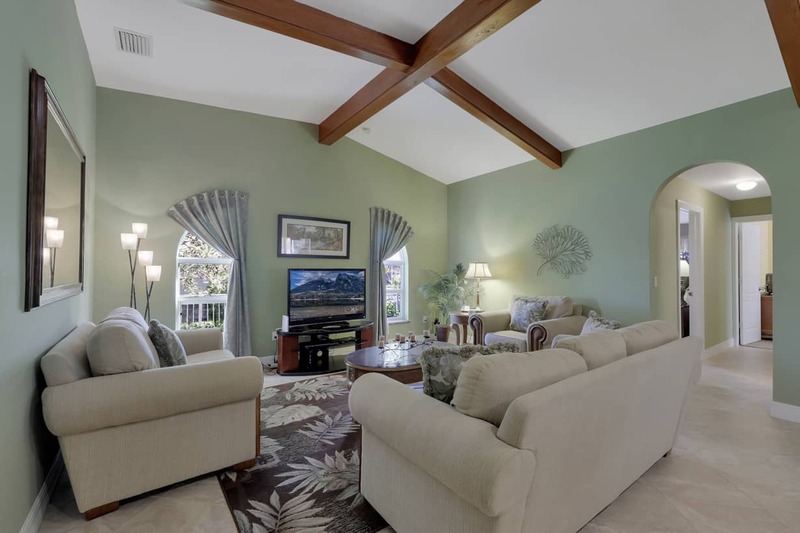 The first living area has wonderful views over the south facing pool area and combines a quiet seating space with a casual and cozy formal dining area. 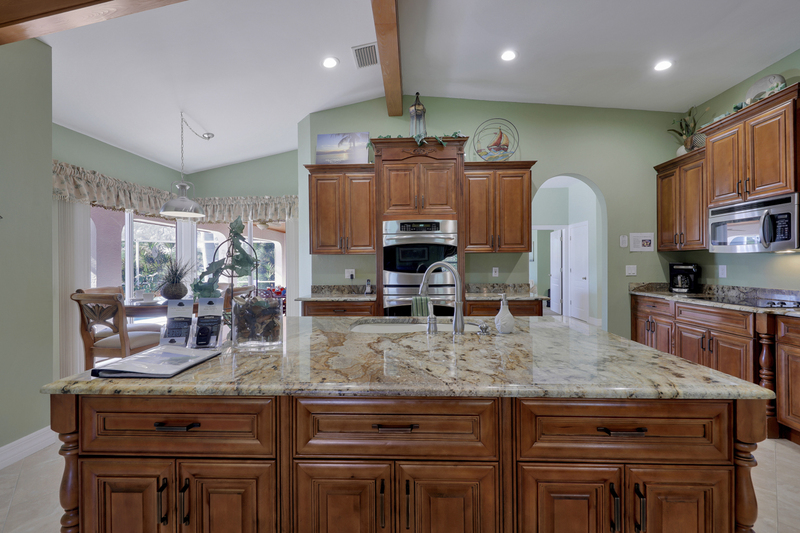 This initial living area leads onto the grand open plan Kitchen furnished with stainless steel appliances, custom-made wooden cabinets and finished with a very large granite clad island. 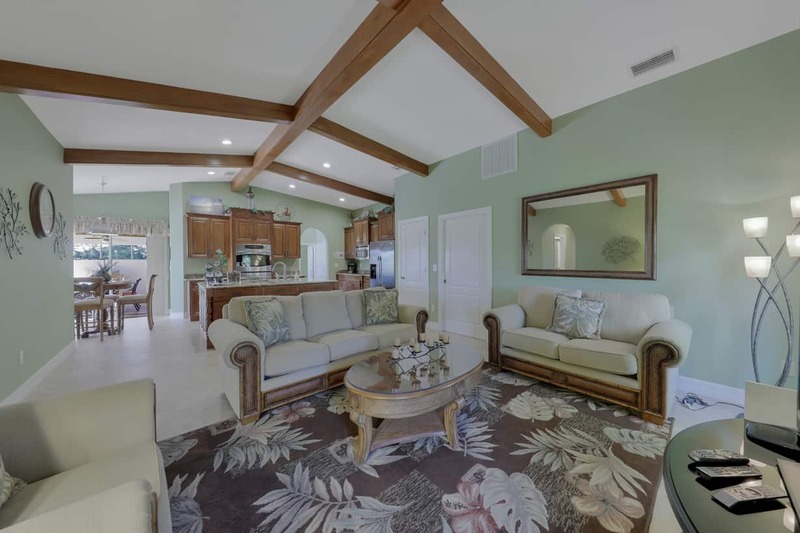 The gourmet kitchen overlooks the extremely comfortable main family room and ultimately, the private screened pool area and personal boat dock. Featuring 3 bedrooms, the Master Bedroom comes complete with king size bed, flat screen cable TV and private Master Bathroom. 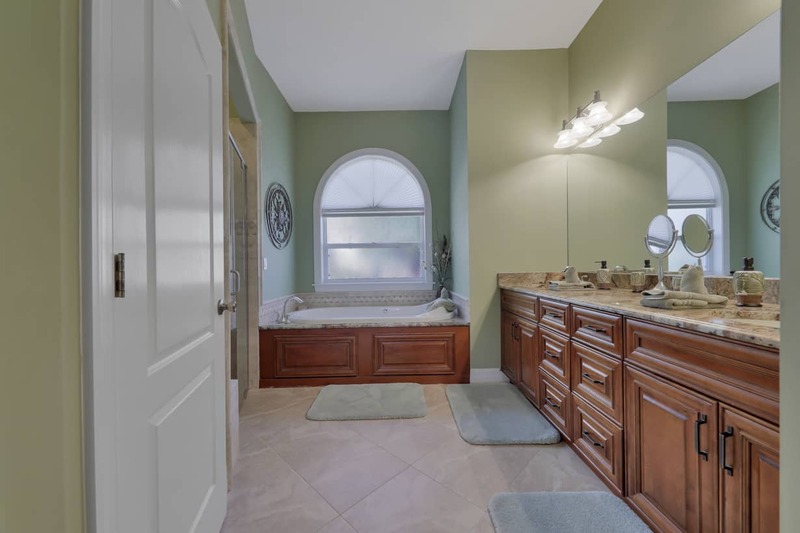 In keeping with the rest of the home, the Master Bathroom has been decorated to the highest of standards with rich granite, jetted bathtub and large walk in shower clad in tumbled stone. A further 2 guest bedrooms feature a queen size bed and a 2 twin beds. 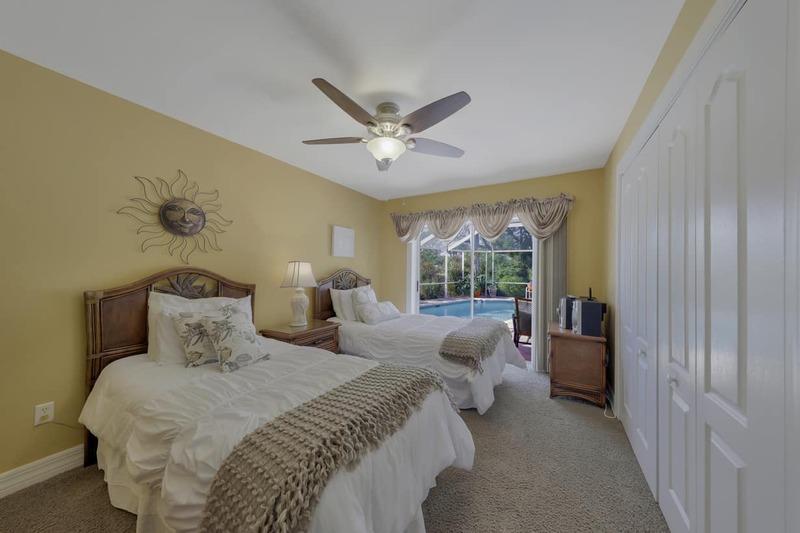 A rather unique feature of this lovely home is that all bedroom suites have large sliding glass doors to the sunny pool area, thus providing lots of light and great access to the lanai. 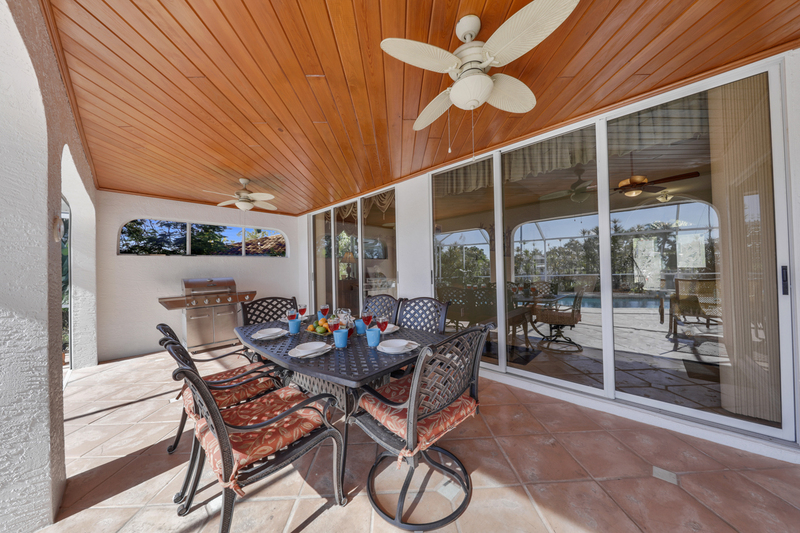 Stepping outside to the south facing sun-drenched screened lanai, guests can enjoy the oversized deck area with south facing sparkling heated pool. 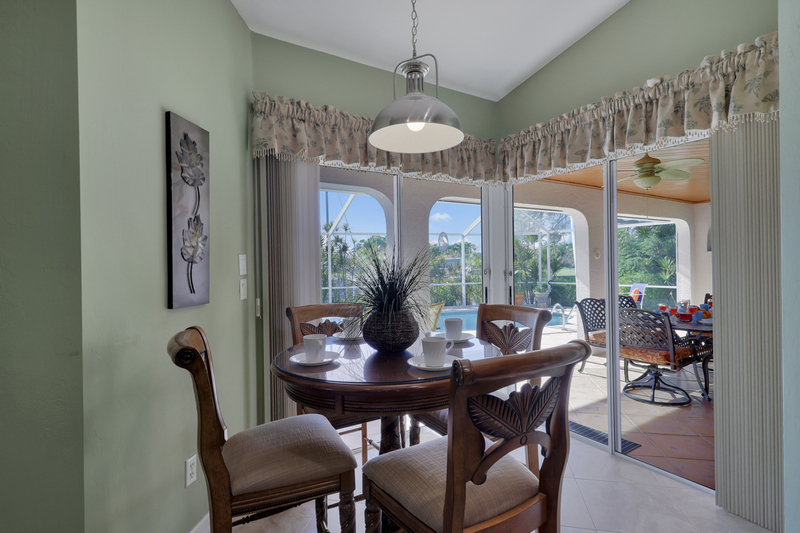 There is outdoor seating for 6 so guests can enjoy alfresco dining. 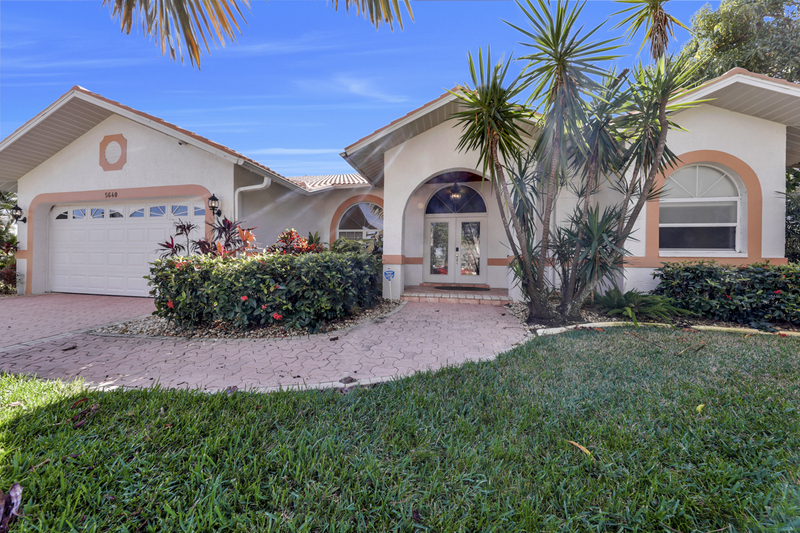 With outdoor waterfront living and relaxation so high on the priority list in sunny Cape Coral, the home is also equipped with a gas barbecue and iced drinks cart. 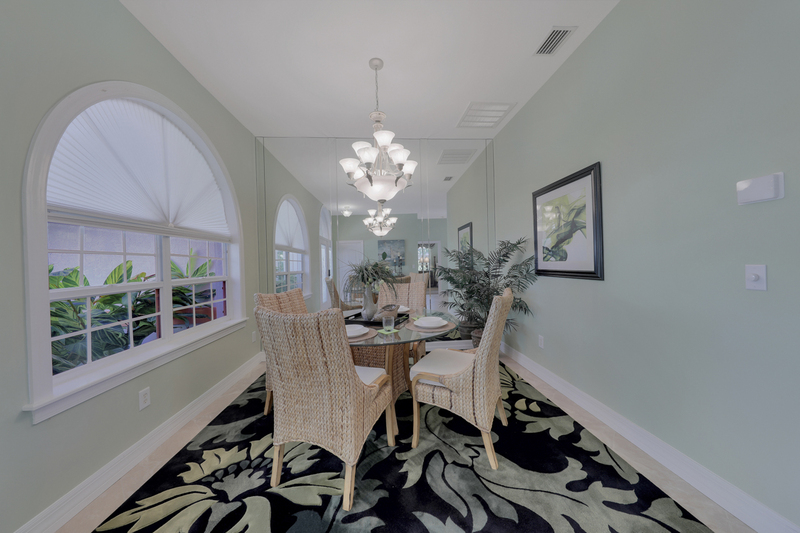 The lushly landscaped grounds are the finishing touch to your own piece of paradise that Florida is famous for and provides privacy and a feeling of tropical tranquility.